What exactly is it about abandoned places that attract our attention in such a mystifying way? Some people who seek to explore, photograph or even just observe uninhibited locations are interested in learning about and preserving history, while others are simply interested in the out-of-the-ordinary sights you’d likely never find elsewhere. The way some eerie places allow visitors to engage their imagination is fascinating. 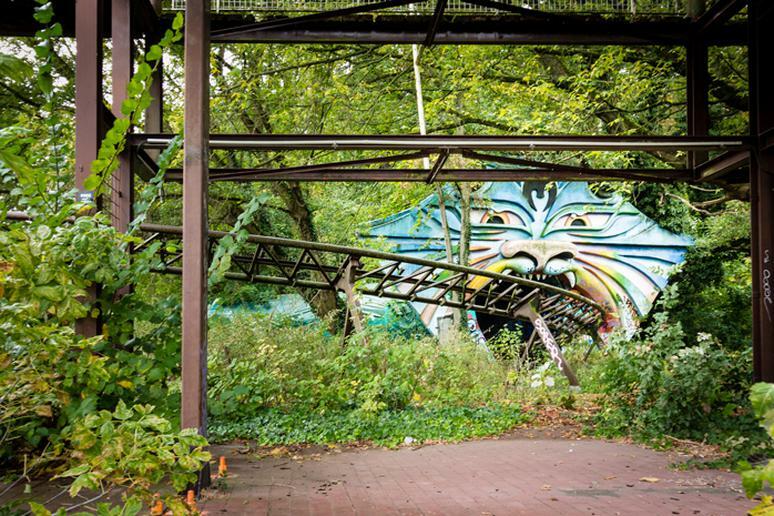 With more than 1,300 theme parks in the world with tens of thousands attractions, it is perhaps not surprising that some close down and never reopen. The reasons vary from low attendance, fatal accidents, natural disasters, and even rumors of haunted experiences nearby. Many of the parks that shut down are simply abandoned. Selling the land has been proven difficult. As a result, nature takes over giving what used to be a fun place a very cold look and uncanny feel. The rotting attractions are left to cast a scary shadow. It becomes hard to imagine that what is now a ghost town was once full with kids enjoying water rides and giant rollercoasters. These are not a whole new type of attraction – mostly for brave adventurers.